Don’t worry, I’ve heard it all before. You also may be surprised at the number of people who comment on its looks; both positive and negative remarks. Either way it is a car that prompts conversation and I think that is a good thing. Once I answer that it is an electric car, made in a factory powered by wind turbines, with a leather interior treated with olive leaf extract and, if they are still talking to me, I then usually get asked a series of follow up questions about the battery. Specifically, how long it lasts and how long it takes to recharge. These are not necessarily straightforward questions to answer. So, to answer the first question – how long does the battery last? Well according to BMW, on a 20-degree day, in city driving with no air conditioning or heating running, the answer is around 160km. The reality is, depending on where you live, this scenario may never, or only rarely, happen. My personal best after six months of mainly winter ownership is 114km. The iRemote App you can download to your phone keeps a log of total electric distance driven by your car and by all i3s in the world. The best in the world sits at 129km. While on the topic of the App, it is actually quite excellent. You can remotely flash the lights, lock and unlock the door, and send navigation details straight from Google to the car – you can do that on all BMWs with Connected Drive. But, what makes the iRemote app better is that you can remotely monitor the charging status of the car, view the distance available based on battery remaining (including a graphic on a map as to how far you can drive), precondition the battery and heat/cool the car’s interior before you head off so you don’t use precious battery power heating or cooling the car after you have unplugged. Finally it also provides statistics on your last trip, including distance travelled, consumption and recuperation (through regenerative braking) and overall distance travelled since last recharge. These stats can all be compared to the rest of i3 community around the world. All good stuff to pull out at a BBQ and impress (or in my case, bore) your mates. 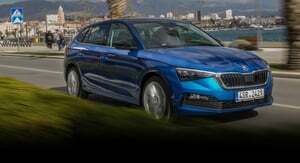 My car is a Rex (Range Extender) with a rather crude, two-cylinder BMW motorcycle engine that switches on automatically when the battery reaches five per cent to maintain its charge. 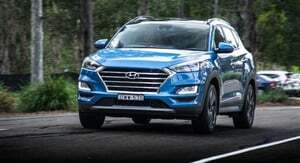 It’s good for around 100km, as the fuel tank only holds nine litres. The engine does not drive the wheels, rather it creates electricity to charge the batteries. It is actually quite handy to have as I usually only recharge the battery two or three times a week, so it helps if an unexpected trip crops up in the working week and the battery range isn’t sufficient, or there isn’t an opportunity to recharge the battery. That being said, in six months of ownership, I have only used a quarter of a tank of fuel! With regard to recharging time, this varies depending on the type of charger you use. 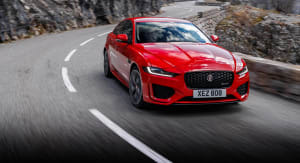 The car comes with a very slow charger that will take around 12 hours to fully charge from empty plugged into a standard mains power outlet. BMW will also sell you a wall box that reduces this time by about 40 per cent ($2000 installed). I decided against the wall box and went with an aftermarket, smaller, more powerful solution that was about half the price and recharges the battery from empty in about four hours – Evolution Australia is a local Victorian based company that supplies and installs them and is well worth considering if you want another option. So, my car is a 2016 64ah Rex in Capparis White with Suite (leather) interior. 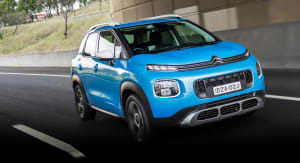 The additional options fitted are 20-inch wheels, DC fast charging, sunroof, heated seats, and LED headlights (which, rather unbelievably, are an option on this vehicle). I purchased it from Melbourne BMW as a demonstrator around six months old with about 5000km on the clock. The saving from the new car price was substantial. In every sense of the word this is a ‘City Car’. It has excellent visibility and manoeuvrability (parking in tiny spots in underground car parks is a breeze) and the interior is bigger than it looks from the outside. We have two young boys (2 and 5) and their car seats fit in the back no problem. We live in inner suburban Melbourne and this is our second car, so it suits our needs perfectly, with our average week consisting of around 200km of city driving. For longer trips with all the things a family of four needs to take with them, our second car is fit for purpose. The i3 is not. 1. Manoeuvrability: the car is so easy to drive around town it makes navigating car parks and small streets a pleasure. In addition, the power being fully available straight away means you can quickly dart in and out of traffic, race cars off at the lights (and win) and on the freeway overtake with ease. Cruising at 80km/h and then putting your foot down provides a surge of power that can’t help but put a smile on your face. The kids love it too (more, more!). 2. 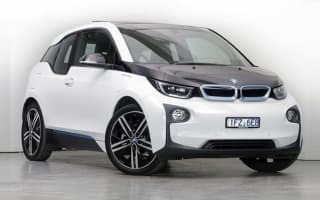 Connect-ability: While a lot of the features on the Connected Drive app are similar to other BMWs, the iRemote features mentioned above make it really easy to plan your trips and recharging, so you are always ready to go. 3. Looks: I know from first-hand experience there are a number of people that think it is odd looking – I was one of them initially – but I do believe the styling grows on you. However in an era of car design where new models look so much like the old ones you can barely tell them apart (see the ‘new’ Audi Q5 as proof), I like the fact I am driving something that is so different from the rest, it actually promotes conversation. 4. Technology of design and build: Firstly a disclaimer – I am not what you would call a Greenie and have owned a number of sports cars over the years, but there is something that is very cool about a car that produces no emissions, was built in a factory powered by wind turbines and uses materials that are lightweight and have as little environmental impact as possible. The fit and finish is superb and it certainly feels upmarket inside, despite all the weird materials that have been used. In addition, it is obvious it has been designed as an electric car from the ground up and that makes it quite unique amongst electric cars. 5. Driving: A lot has been written about whether the i3 is true to the core BMW ethos of being the Ultimate Driving Machine. Most motoring journalists agree it is. I have owned a few BMWs and in comparison find it a little top heavy and wobbly, but overall the driving experience is enjoyable. The steering is direct and responsive, the ride firm in a familiar BMW way and the response from the electric engine instant. That, and the fact it is virtually silent, means it is a very relaxing place to be. Perfect for city driving. Not everything is perfect though. 1. Seats: I don’t know who designed the front seats, but from an under thigh and side support perspective, they are terrible. Maybe it is just me. Maybe I am just used to seats that have higher side and back supports and ‘hug’ you (ie M Sport seats). Strangely, I also find the textured pattern on the leather uncomfortable and the lack of electric adjustment is annoying, especially as my wife and I swap cars a bit and are quite different in height. I know these are first world problems, but at this price point you would expect more. 2. Doors: The rear hinged rear doors are excellent at providing easy entrance and exit to the rear seats when there is plenty of room around the car, however in confined spaces (e.g. at a carpark) they are a nuisance. You have to open the front door then open the rear and try and manoeuvre between the two. Luckily the car is quite narrow, but getting kids out it is not the best. 3. Range Variability: Petrol cars never live up to their fuel consumption figures in the real world and neither, it seems, do electric cars. In the i3 it can be quite satisfying to drive 10km and only ‘use’ 3km of range, but irritating in the same way when the reverse happens (hills, cold, heater et cetera). The different driving modes (Comfort, Eco Pro, Eco Pro+) vary the resistance on the accelerator and the responsiveness of the engine and limit top speed to encourage you to ease off and contribute to overall efficiency, but the default setting is always Comfort, so you have to actually select the Eco Pro modes each time you get in, which of course means you never do. 4. Amenities: No electric seats and no head-up display are the two main omissions that annoy me the most but of course they are minor in the grand scheme of things – just surprising omissions at this price point. 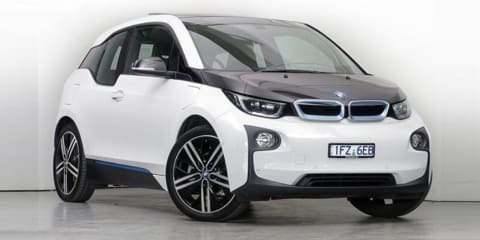 Otherwise the car is very well equipped and there is no real compromise of comfort or technical amenities between the i3 and a petrol-engined BMW. 5. Lack of Government incentives: The Government doesn’t seem too interested in providing the useful infrastructure and financial incentives to help grow electric car ownership. The car comes with a ChargePoint card that allows free charging at the public network of rechargers across Australia. These are also loaded into the sat-nav so you can navigate your way to them, either en route, or in case of a battery depletion, emergency. A number of them are at BMW dealerships. However, there are not nearly enough and even local councils could do more by installing them in carparks. Westfield has done so at their shopping centres, also providing dedicated parking bays for electric vehicles. While Vicroads provides a $100 discount to your annual registration, that is all that is provided in the way of financial incentive by anyone. A lot different to the US$10,000 provided in California! Overall I have really enjoyed my first six months of ownership. I am impressed by the engineering and technology that has gone into the creation and manufacture of the vehicle and BMW’s commitment to sustainable production. 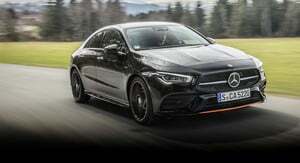 It is also a pretty fun car to drive and totally different from anything I have owned before – my previous car was a VW Golf GTi – but it is still more than capable of putting a smile on your face accelerating away from a standstill or chucking it into corners. While it is a shame the government doesn’t provide more incentives to encourage greater ownership, hopefully this will change over the coming years. If anyone has any questions, feel free to ask away in the comments below.